What kind of an Apprenticeship suits you best? 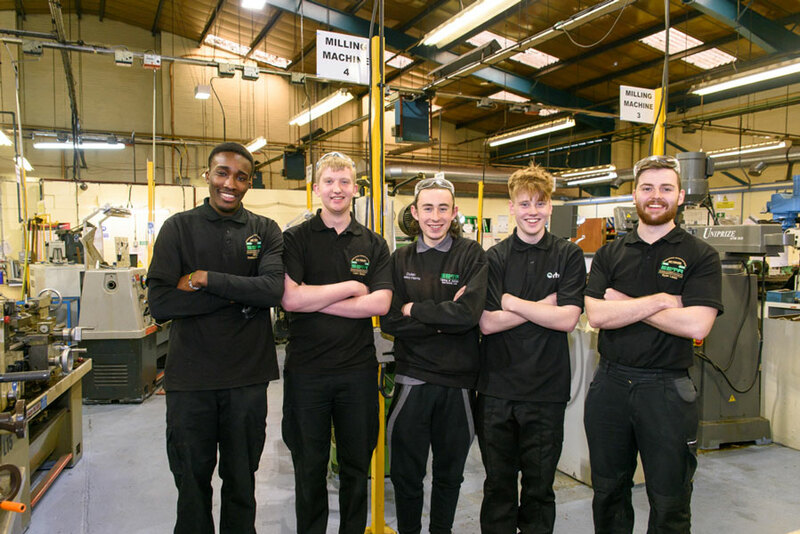 SETA is one of the leading Engineering Apprenticeship providers in the North West and has been helping young people start their engineering careers since 1966.Take advantage of our depth of knowledge and practical experience! 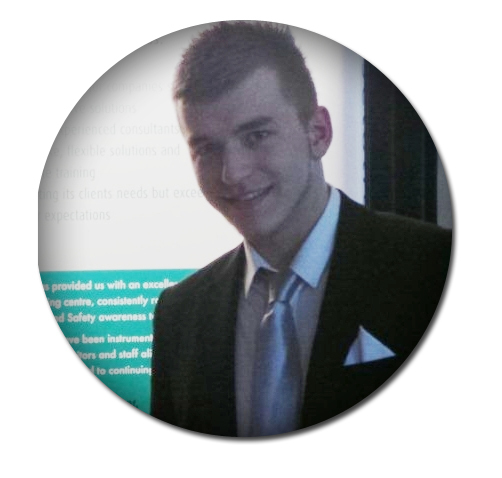 Are you interested in Engineering Apprenticeship? Visit SETA’s Learning and Skills Academy in Stockport! Visit us at our dedicated engineering training in Reddish, Stockport to find out more about an application process and how to start your Engineering Apprenticeship. Email us at apprenticeships@setatraining.com to find out more. Get paid, get trained, get qualified! 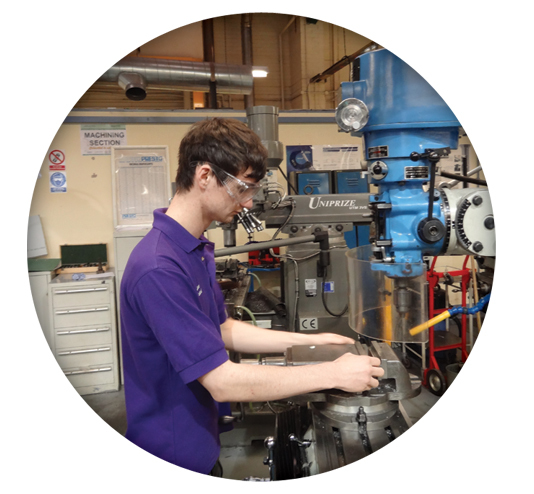 START YOUR ENGINEERING APPRENTICESHIP NEXT SEPTEMBER! Call us today and start your journey to exciting career! Pick-up an apprenticeship application form and ask any questions about completing the application.  SETA is one of the leading engineering training providers in the North West, helping young people succeed in engineering careers since 1966. SETA is also now delivering Higher Apprenticeships in Advanced Manufacturing Engineering. In 2016 we will celebrate 50 years of delivering the finest industrial, safety and business training. 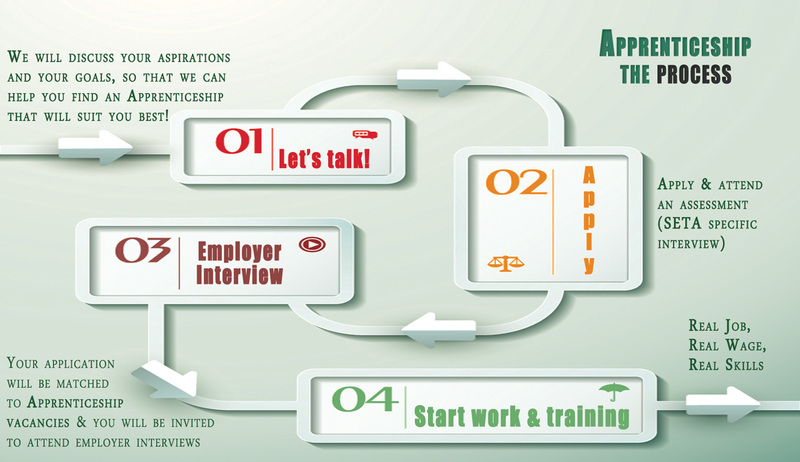 “Is an apprenticeship the right career path for you”? An apprenticeship gives you the opportunity to gain nationally recognized qualifications and develop new skills, whilst earning money and building a relationship with an employer, in a real job. From awards and recognition to raising money for those amazing charities, being apprentice with SETA is so much more than I expected! How Much Can Engineers Earn? As an apprentice, you are earning wage right from the start. You are guaranteed minimum wage, however, as skills develop, many employers tend to increase wages – in fact, research has found that apprentices earn an average of £170 net pay per week. The apprentice NMW applies to all 16 to 18 year old apprentices and to those aged 19 and over in the first year of their Apprenticeship. Q: Do I have to pay to become an apprentice? A: No, just the opposite! Your employer pays you salary as you undertake training with SETA and your employer. Q: How far can I go with an apprenticeship? A: We are often asked how apprenticeship compares to college.The main difference is you are getting paid, while learning. Apprenticeship gives you sought after work experience and relevant training, as well as recognized qualifications that enable you to continue your education to a Degree level. 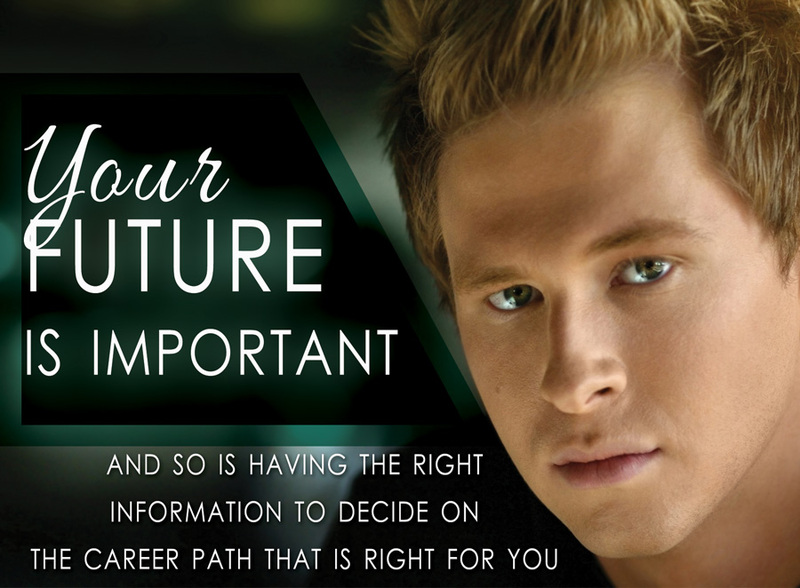 You will still need to study, but you learn skills that can help you start a rewarding career. Apprenticeships are nationally recognised work based learning programmes specifically designed to meet the requirements of different occupations. Apprentices are given a strong foundation in engineering through practical and theoretical training, undertaking relevant technical certificate, like the BTEC Level 3 engineering diploma. 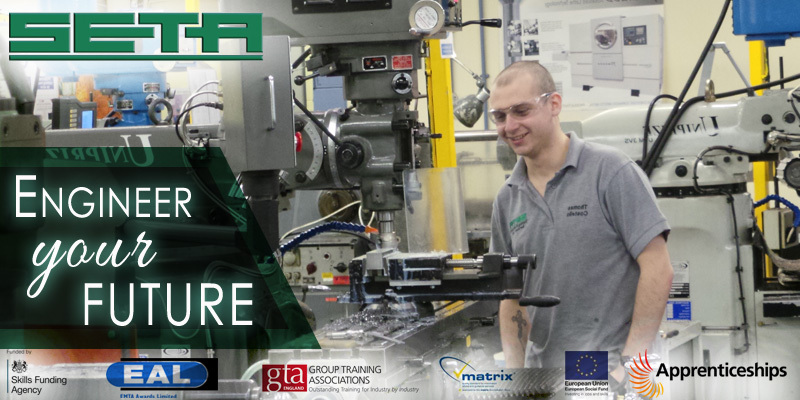 SETA is now delivering Higher Apprenticeships in Advanced Manufacturing Engineering! The Higher Apprenticeship framework has been designed to provide the manufacturing and engineering sector with high grade technicians and engineers who have practical skills, combined with a higher education qualification. Who can undertake the qualification? The framework facilitates progression to Level 5/6 and Incorporate Engineer status. Generally all age groups can apply for the Higher Apprenticeship framework and this should be considered as an alternative to graduate recruitment with obvious benefits to employers and apprentices.